Kandahar. The Taliban's former stronghold, a Mecca for drug-smugglers and terrorists - and home to Afghanistan''s first female police officer. In this dangerous, male-oriented world, Malalai Kakar is blazing the way. Trailed by her meek brother and unhindered by her heavy burka, the mother of six subverts all stereotypes. This observational documentary follows Malalai for a week as she chases wife-beaters, murderers and thieves across Afghanistan. 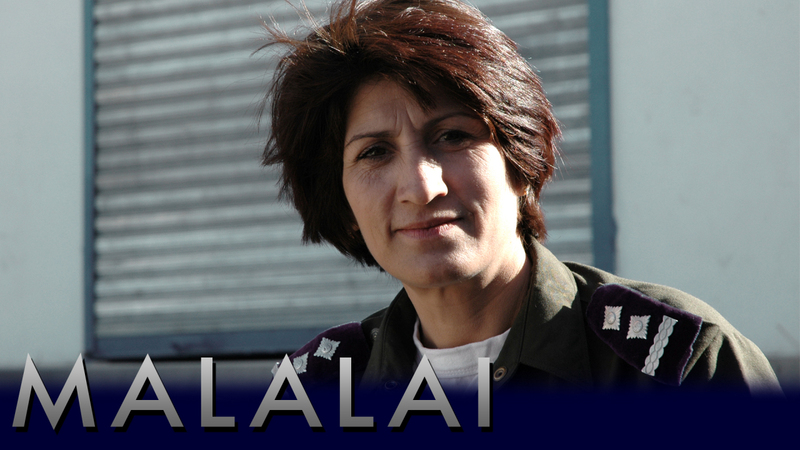 Malalai''s father, the police chief, was determined she should follow in his footsteps. '"My father loved his job. I joined the police because of him.'" She first joined the force 20 years ago and has risen through the ranks. "'She works like a man'," a colleague relates with a grin. But fundamentalists in the city that was once the Taliban''s spiritual heartland hate the idea of a female cop. She receives regular death threats. But Malalai refuses to be cowed. "'I am not afraid. I must pursue my duty.'" The day has barely begun before they receive news of a murder. "'They burned the body there'," her colleagues states, showing her around the crime scene. They soon deduce the murder was carried out in a nearby village. "'A man has been murdered. Do you know anything about it?"' Malalai quizzes the local inhabitants. Unhappy with their answers, she searches every house. As well as fighting murderers and drugs dealers, Malalai is in charge of all cases involving abuse and divorce. A battered girl begs for help to leave her violent, impotent husband. "'If you fail in this case, then my daughter will not survive'," confides the girl''s mother. Malalai secures her a divorce. A 13 year old girl bursts into tears as she reports how her father, a pimp: '"Makes me find women for his business'." Enraged Malalai heads a raid. They find enough heroin in his brothel to imprison him. Malalai was named after a legendary Kandahari heroine who helped defeat the British occupiers. Like her namesake, she is fiercely patriotic and acts as a mentor to the only two female officers following in her footsteps. '"Truly, she is another Malalai'," exclaims the chief of police. However, Malalai herself does not think she's doing anything special. As well as pursuing her professional duties with the utmost diligence, she remains 'a mother, a daughter, and a wife'. Every morning she prepares her six children for school. She tries not to worry her family with the death threats she receives and never discusses her work at home. "'I am proud that Malalai works for her country. Our country needs her'," states her husband proudly.